Blacc Spot Media focuses on Web Real-Time Communications (WebRTC) development across web, mobile, native desktop and telephony implementations. Simply Put – Technology Geeks! Technology is Our True Love! We were founded with the goal of creating innovative solutions using new technologies such as Web Real-Time Communications (WebRTC). Our team works on strategic projects developing custom applications, enterprise platforms and mobile applications for a wide array of clients around the world. All of our clients come to us with unique sets of requirements and business objectives for their new or existing products and services. We work with our clients to define requirements, product roadmaps, project governance and more to ensure we deliver their new product to market successfully. At Blacc Spot Media we believe in creating partnerships with companies who enhance our services and product offerings for our clients. We have a set of development partners and WebRTC vendors partners we work with to help us delivery our clients' projects quickly and efficiently. 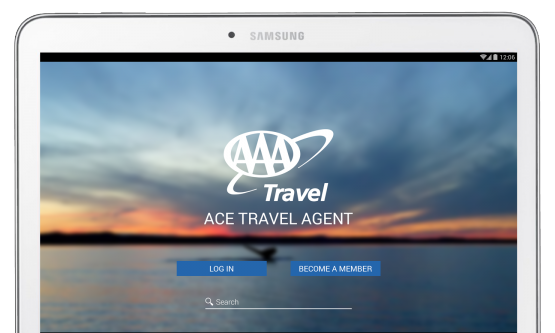 ACE Travel Agent is designed to provide users with a simple and seamless user experience to book reservations and make travel arrangements with live agents using audio and video streaming. Web Real-Time Communications (WebRTC) opens the doors for providing rich communications capabilities within your mobile and web applications. Blacc Spot Media helps our clients by providing insight into current industry trends, standardization, market analysis, strategy and more. Our advance understanding of the technologies we work with, such as Web Real-Time Communications (WebRTC), enables us to bring a level of expertise to your company like no one else. We know how to build products that can scale to your business’ needs, no matter how large. Web Real-Time Communications (WebRTC) is new to many companies and organizations. Blacc Spot Media will work with your team to build out Proof of Concepts (POCs) and Minimal Viable Products (MVPs) for your executive teams to evaluate and validate the technology.